The unique and first “Critical App Challenge for the Middle East and North Africa”, organised by Airbus, has ended with an award ceremony at the Gitex exhibition, being held in Dubai, UAE, this week. An independent jury picked four outstanding applications for the Tactilon Dabat which were developed for public safety and industries in the Middle East, said a statement. 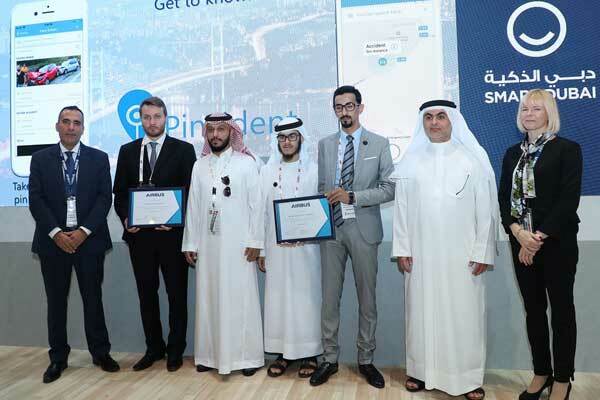 Among the 40 companies which participated in the online contest, the companies BRAQ Aerospace (Saudi Arabia), Delta Smart Technologies (Turkey), epic.blue (Belgium) and Steerpath (Finland) presented the most convincing app solutions, it said. The challenge was to find the best digital communication solutions for various industry staff, policemen, firefighters or paramedics who need specialised communication solutions for their regions in North Africa and the Middle East. The applications can be used on the Airbus device Tactilon Dabat, the world´s first smartphone and Tetra radio in one, it added. A total of 40 companies proposed new ideas to Airbus within a limited amount of time in the past weeks. They had to hand in the proofs of concept of their product idea. The independent jury consisted of seven representatives from the telecommunication companies Nedaa and Moteco, the Dubai Police, Dubai Civil Defence, and Airbus. Airbus supported and initiated the entire event. “Our company provides the right platform to gather those ideas and bring them to the regional public safety markets,” he added.